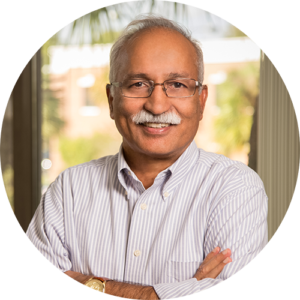 Dr. Ankineedu Velaga is a semiconductor engineering executive with 30 years of experience spanning process technology development at Bell Labs to fab engineering and operations management in Asia. Velaga has a sustained track record of achieving improved product results by upgrading methodologies for better process development. He has worked as vice president of R&D Foundry Consulting for IMEC in Belgium, senior vice president of operations & engineering at SilTerra Malaysia, and for other high-tech firms. He received his Ph.D. in Chemical Engineering from the University of Arkansas, his M.S. in Chemical Engineering from the Indian Institutes of Technology and his B.S. in Chemical Engineering from Regional Engineering College in Warangal, India.